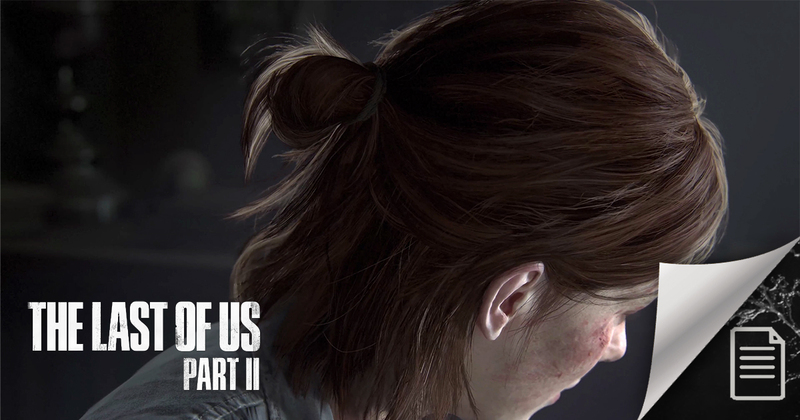 After Neil Druckmann, the writer and director of The Last of Us Part II, reveal that he does not feel the need to give a happy ending to the new game and what he thinks of the theories generated by the fans, the communications director of Naughty Dog , Arne Meyer commented on the studio's breakthroughs, its developing titles and more. "It's a little bittersweet obviously to finish a series that we’ve felt so close to and that’s done so well for us, surprisingly so. We have a lot of emotional investment in it. But I think when we were working on the story for Uncharted 4, knowing this was the last one for Nathan Drake, there was a level of seriousness to it and we really put a lot of thought and effort behind it. It feels really good for us to end in that mode, and we were able to have that sense of closure with the way we did it. The game has closure and actually served as closure to us as well." "We look at it, and it’s always fun to look at a lot of the fan theories. We’re fans of movies and TV shows, so when we see the same type of things for those shows we totally get into it. So seeing that for one of our games… We always try to craft trailers, craft things that leave questions open, leave interpretations open. To see some of that and to see where all of that goes is always a thrill for us, we get a kick out it?" "He was specifically referencing when we look at crafting our campaign. As far as trailers and information we put out we want to bring our fans on a journey like we do with our games. The highs and the lows. So we will purposely obfuscate the truth or provide a little bit of misdirection so that we’re providing the right types of surprises, or highs and lows, that we do with our games as well." "We defintely think about it from the beginning of development even though Uncharted: The Lost Legacy is using the Uncharted 4 engine. It’s still something we were thinking of when we started development on Lost Legacy and how we were approaching it. But the thing is we still have to provide benefits for both consoles so we’re really excited about the stuff the Pro allows us to do. I think you may have seen everyone’s really been geeking out about HDR and how picture quality goes. But we’ve always tried to provide the best experience no matter what platform we’re on, no matter what constraints or capabilities we have, and so this adds some more options. But we always look to optimise what ever platform we’re on." "I think for us, the part that really excites us, is that we always try to push whatever hardware we’re on to the fullest, so for us it gives us an opportunity to try to explore somethings without having to revamp our engine. It’s exciting to say ‘alright we can really push things a little bit further without having to really refactor everything we’ve been working on.’ It’s great to look at those opportunities that it give us." "You’re saying that, but the reality of it is that really we’re kind of a one game studio. While we do have maybe some pre-production teams spinning up here and there, we’re not that disciplined to not say we’re going to borrow this person, we’re going to borrow that person. So pretty much the entire team is working on something, and I think we’ve come to terms with that’s the way our studio is going to operate. We hire very slowly, very deliberately. We’re just over 200 people right now, so we don’t have the capacity to really work on two games in parallel that way without trying to steal resources from either end. So for us to make the best game possible we really have to focus on one game."